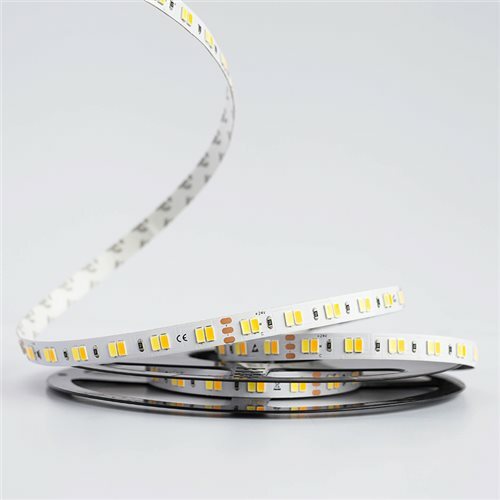 The 25 W/m Tunable White flex is an LED strip with a high lumen output, making it ideal as the primary source of light in any room. It offers the user the possibility to change the colour of the light from a warm white (2700K) to a cool white (6000K). The use of a proper heat sink (aluminium channel or flat bar) is mandatory with this flex.